Boston Harbor's best outdoor gala. Join us under the tent for a beautiful evening on the pier in support of Courageous kids. This June, Courageous Sailing will be hosting our 23rd Make-A-Mark. 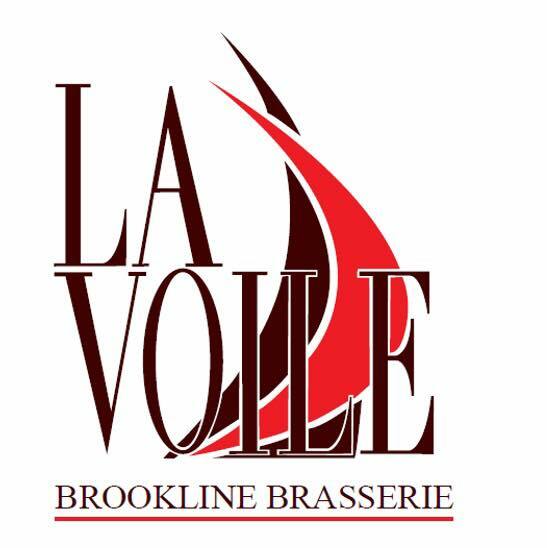 A lively gala with music, dancing, food, live and silent auctions, and a breathtaking view of the Boston skyline, this event is so much more than an unforgettable evening! 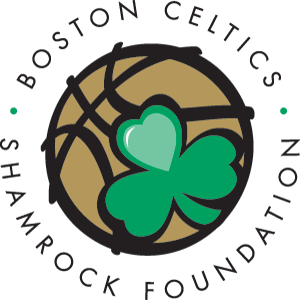 By attending Make-A-Mark, you support Courageous in our mission to help shape the futures of hundreds of kids in and around Boston. Make-A-Mark tickets, auctions, donations, and sponsorships all directly support Courageous youth programs, which have been proven to foster social-emotional and academic growth in our students. 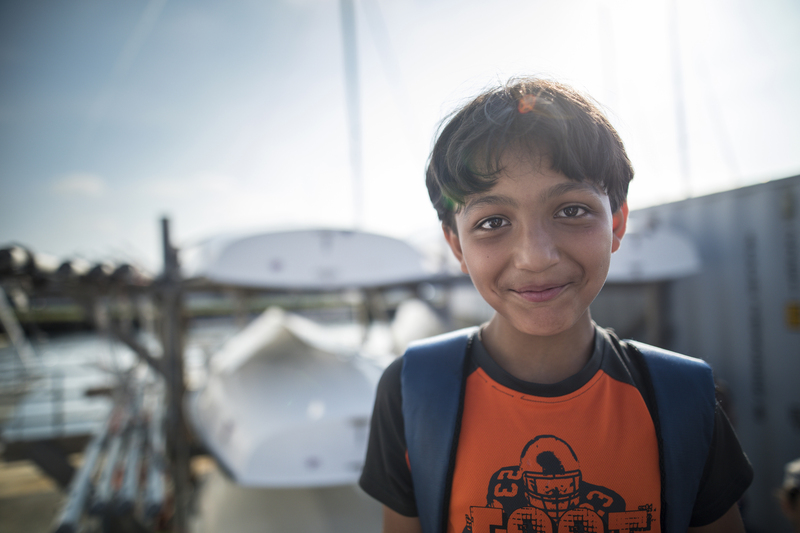 Your support empowers the thousands of kids who come through our program to transform their lives through sailing. Generous donors provide a wide range of enticing auction items. 100% of proceeds benefit Courageous Youth Programs. 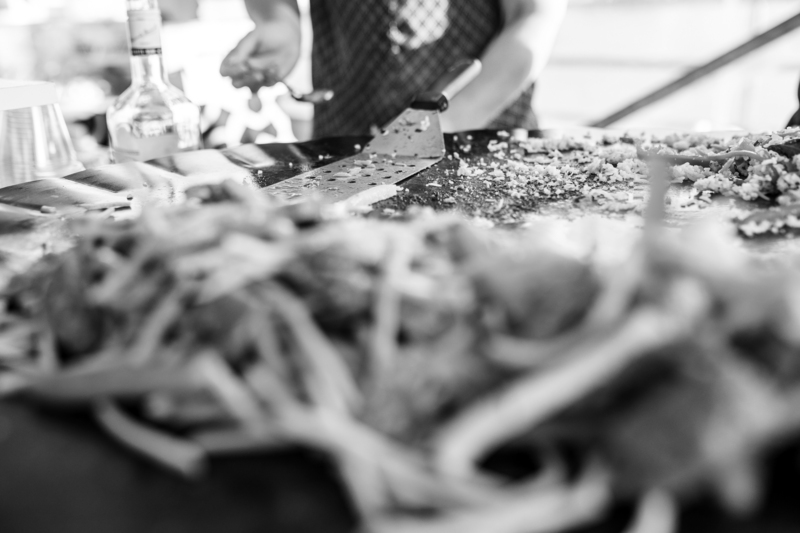 Each year, local catering and beverage services provide delicious culinary samplings, refreshing cocktails, and a selection of beer and wine. Individuals and companies can directly support Courageous kids this year by making a financial contribution at Make-A-Mark. Financial need tops the list of barriers standing between many kids and a potentially life-changing summer experience. Many families also need extra help with transportation, access to swimming lessons, meals, extended-day care, and summertime academic support. In 2012, Courageous launched our Reach Initiative — which targets all barriers to participation for kids at every level of our program — to directly address these issues. 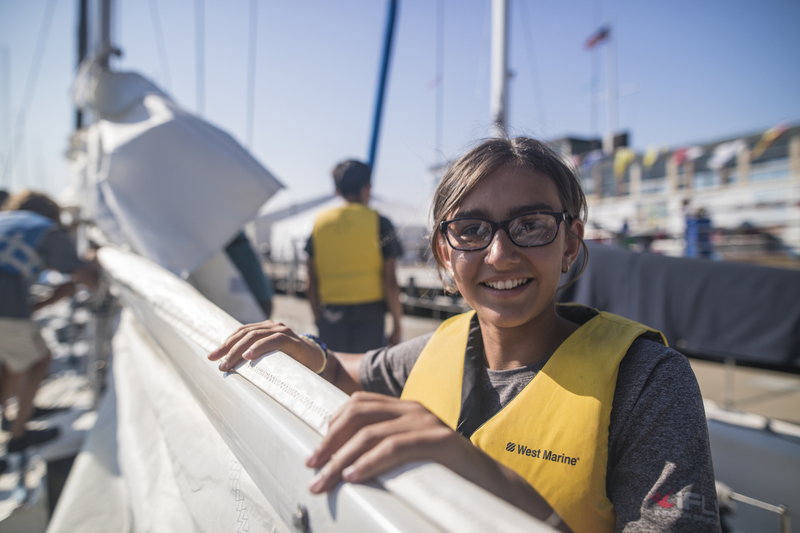 Each year, over sixty 4th and 5th graders participate in our Swim Sail Science program, an intensive two-year program that blends sailing, swimming, and academics taught by Boston Public School teachers. 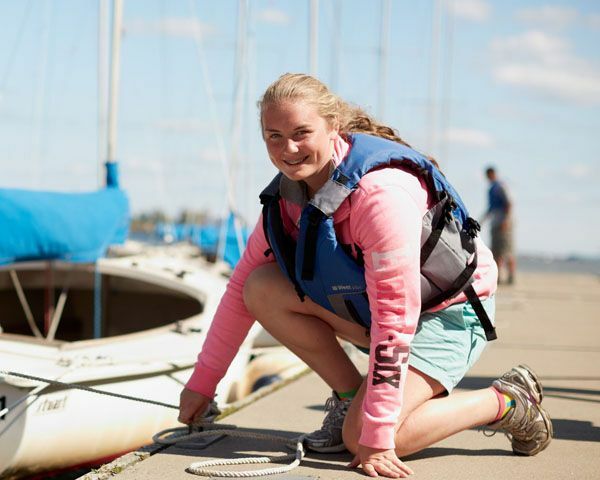 Swim Sail Science has been proven effective in reducing summer learning loss and helping youth build invaluable life skills. 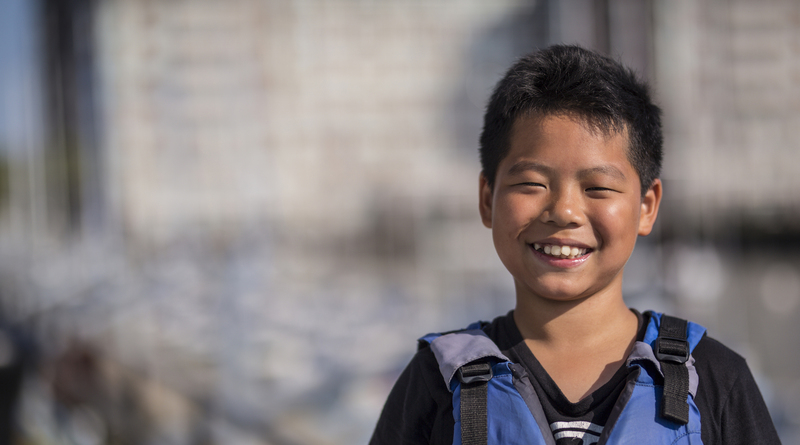 When you give to Fund-A-Future, you are providing crucial support for the Reach Initiative, Swim Sail Science, and all Courageous kids who would not be able to experience the joy of sailing without your help. Though Fund-A-Future has a home at the heart of Make-A-Mark, it’s truly a year-round effort. Please consider giving to Fund-A-Future today. ▸ Who will the proceeds benefit? 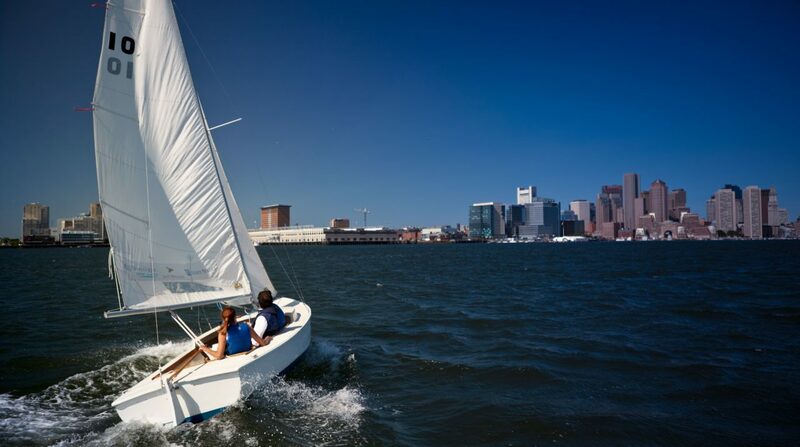 Courageous Sailing teaches sailing and life skills free of charge to over a thousand of Greater Boston youth. 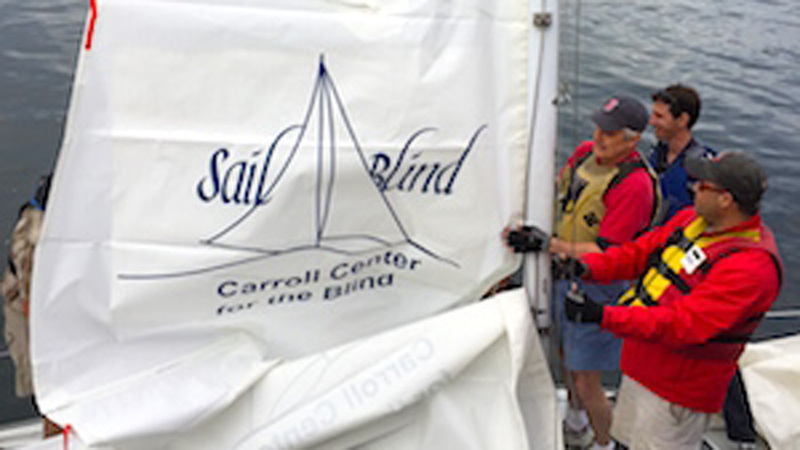 We use sailing instruction to teach key social emotional skills like leadership, personal responsibility, communication, teamwork, problem-solving, and stewardship. 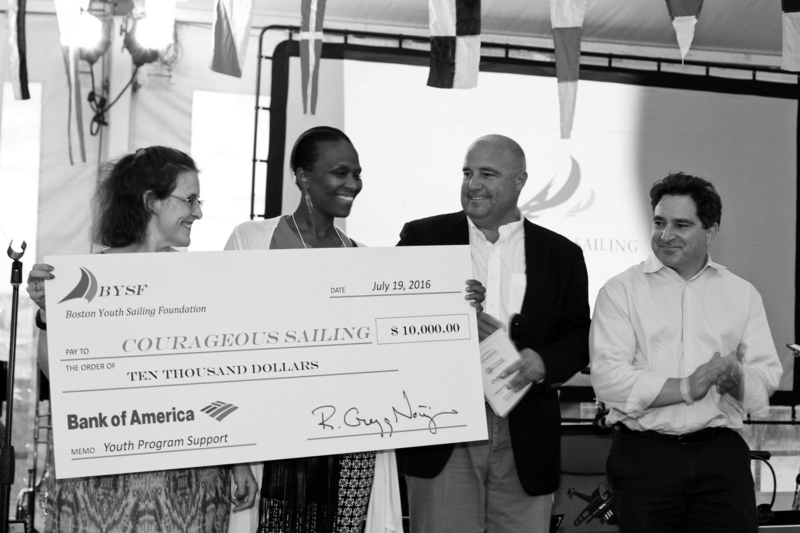 All proceeds from Make-A-Mark will fund the youth sailing and leadership programs. ▸ Why are additional funds needed? 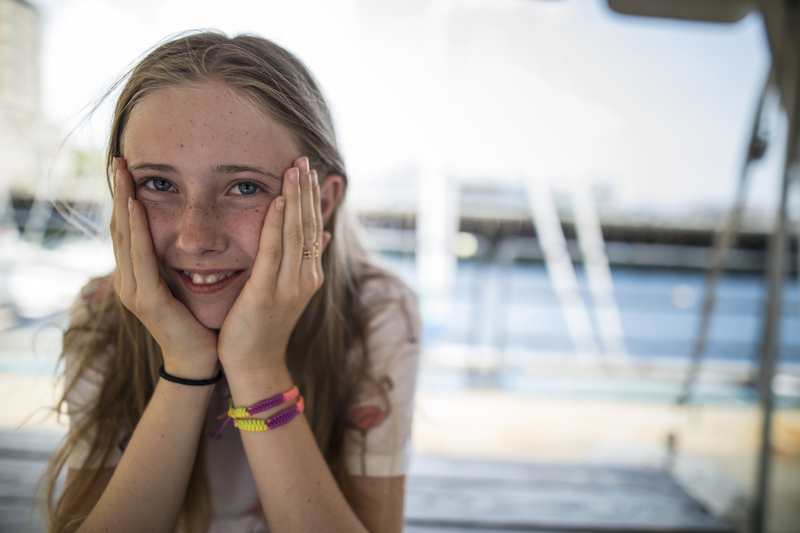 While Courageous Sailing will serve around 1,000 children and provide over 30,000 hours of programming in 2019, we are only able to admit one-third of students who apply for our Summer Youth Program due to limited resources. Additional funding is needed to expand access and to maintain the high quality of our programming and fleet. ▸ Who will be there? Members, neighbors, volunteers, parents, young professionals, sailors from throughout the region, and anyone who wants to have an enchanting evening while supporting Courageous Sailing. ▸ Are there ID requirements or an age limit to enter the event? There is no age limit to enter the event. Drinks are available for guests over the age of 21. Proper identification is required to receive your drink wristband. ▸ What are my transport/parking options getting to the event? 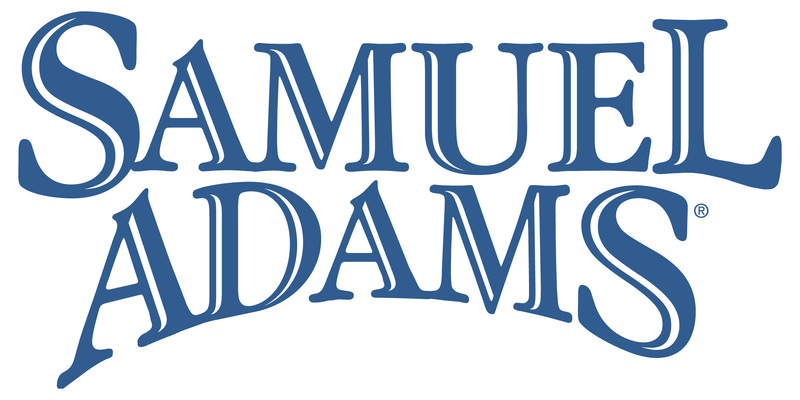 Parking is available at the Flagship Wharf parking garage, located at 197 8th Street, Boston, for $13 if you arrive after 5 pm and depart before midnight, as well as at the Nautica parking garage, located at 88 Constitution Road, Boston, for $10 with validation. Please note, vehicles are not allowed to park or make drop-offs on the pier. Click here for a map with directions. ▸ What can/can't I bring to the event? There is no place to store your personal belongings, so only bring what you will need. There is ample space under the tent, but keep in mind that this is an outdoor event, so please check the weather forecast and dress accordingly. ▸ Where can I contact the organizer with any questions? General inquiries can be directed to at Courageous Sailing. 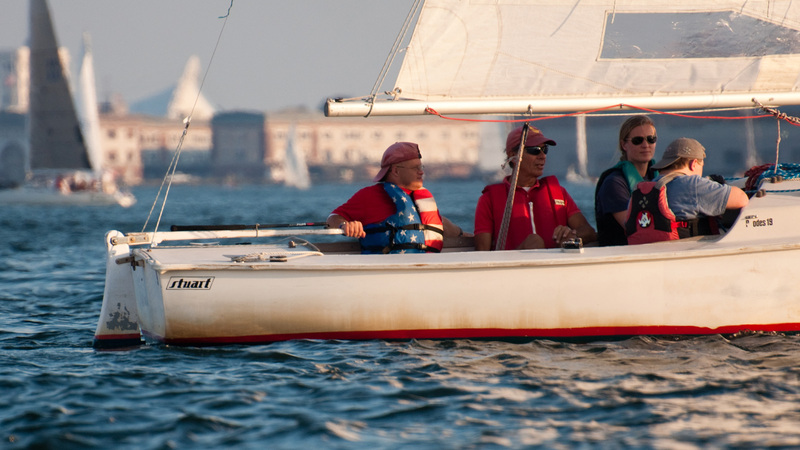 Contact Nora at (857) 452-17 or nora@courageoussailing.org. ▸ What if I would like to pay via cash or check? Please send an email to our business manager, Natalie Le, at natalie@courageoussailing.org detailing your interest in paying with cash or a check. You will then be added to the guest list and receive direction on how to pay. We apologize for any inconvenience. ▸ Do I have to bring my printed ticket to the event? 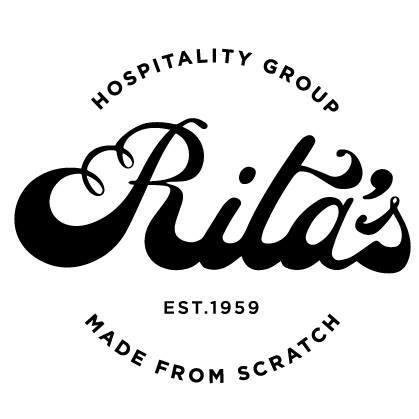 Printed tickets are not required for individual ticket purchases.Group tickets will be distributed by mail prior to the event and should be presented at the check-in table when you arrive at the event. ▸ What is the refund policy? 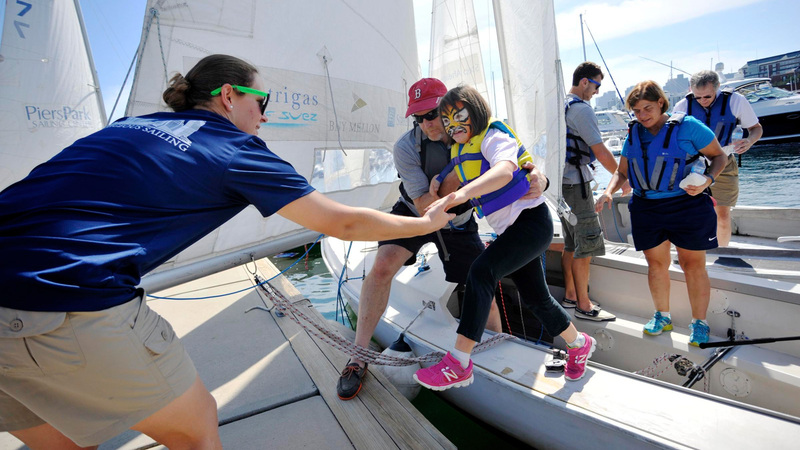 Since 2012, Courageous has been addressing challenges head on through our Reach Initiative, which targets all barriers to participation for kids at every level of our program, and through our Swim Sail Science program, an intensive two-year program for rising 4th and 5th graders that blends sailing, swimming and academics (in partnership with Boston Public Schools) that has been proven effective at reducing summer learning loss. 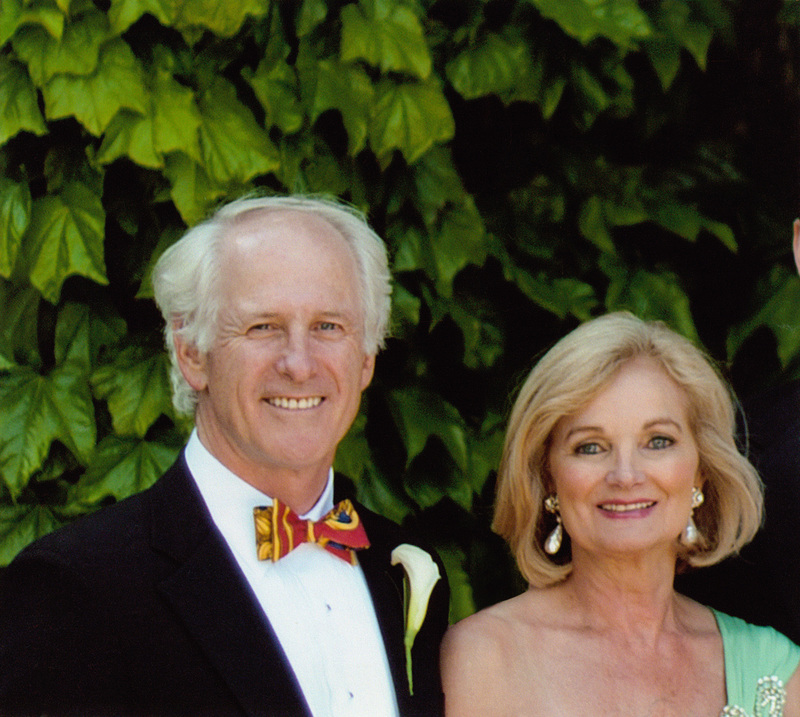 Ladd and Sigrid Thorne have been champions of these programs from their inception. This year they channeled their energy into making Fund-A-Future and over-the-top success, and in doing so, helping to secure the future of the Reach Initiative and Swim Sail Science for next year’s students. 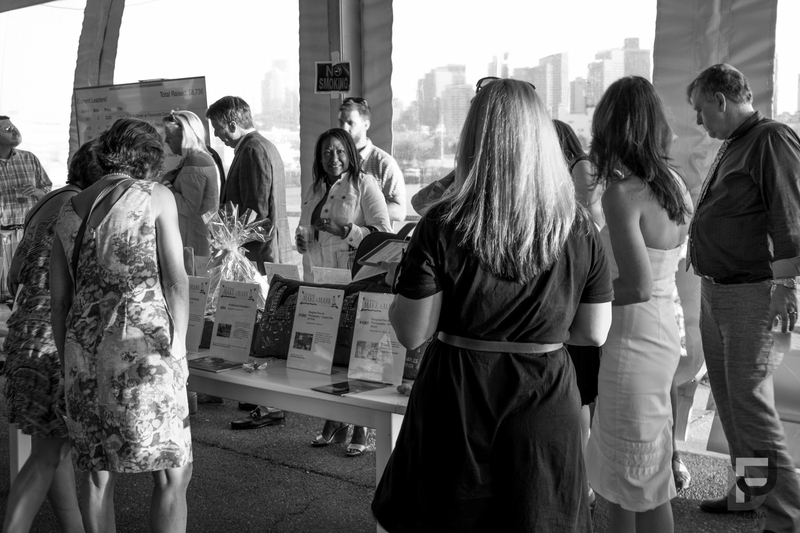 Over 300 guests joined us under Peak’s tent for a beautiful evening on the pier in support of Courageous kids for our most successful Make-A-Mark ever. Our attendees danced the night away to live music from Compaq Big Band and enjoyed delicious food tastings from Boston caterers Capers Catering, Rita’s Catering, La Voile, Relish Catering, as well as New England’s famous clam chowder from Boston Sail Loft and fresh oysters from Real Oyster Cult. Ed Premier’s Bartending served cocktails and spirits, generously donated by Goslings, Tito’s, Sam Adams, and Milton’s. Our live and silent auction items, ranging from front-row seats to a Celtics game, a private viewing of the USS Constitution, access to the field during Red Sox pre-batting practice and a tour of the Green Monster, and vacations to Cape Cod, Maine, and Finland, as well as VIP concert tickets and certificates to favorite local restaurant dinner dates, were a hit. Our guests took a few moments to reflect on our year-round youth programming fundraiser, Fund-A-Future, which lies at the heart of Make-A-Mark and directly supports marginalized youth by providing transportation, access to swimming lessons, and summertime learning to 60 students each summer. Guests raised $85,000 within 10 minutes. Their generosity and excitement reflects the spirit of the Courageous community. In total, our sponsors, friends, supporters, and community raised over $230,000 for Courageous kids, the largest amount raised at our gala to date. Thank you so much to those who attended for making Make-A-Mark a special evening and for being part of the Courageous story.